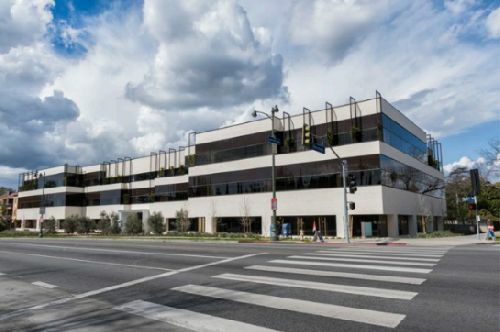 Breevast US purchased the two LA-area, Class A office buildings totaling 158.8k sf from Ocean West Capital Partners in an off-market. The properties are located at 8942 Wilshire Blvd in Beverly Hills and 4525 Wilshire Blvd in Los Angeles. 8942 Wilshire, aka The Wilshire La Peer Building, is located at the prominent corner of Wilshire Blvd and LaPeer Drive in Beverly Hills, one of the most coveted Westside submarkets. Originally designed by architect Richard Keating as the corporate headquarters for the former Columbia Savings and Loan Association, the building features extensive use of limestone, granite, steel and glass. The three-story building totals 82.9k sf and includes a three-level subterranean parking garage with a 4 / 1,000 sf parking ratio. The building was recently renovated and leased to Paradigm Talent Agency as their global headquarters. 4525 Wilshire Blvd is situated on the corner of Wilshire and Rossmore in the Park Mile submarket of Los Angeles. The property recently underwent an extensive renovation that added a modern lobby, new restrooms, high and exposed ceilings, polished concrete floors, and outdoor amenities. Wilshire Rossmore features a common tenant lounge featuring indoor/outdoor access, an open kitchen area and shuffleboard table. The tenant lounge opens via large accordion doors to the “backyard deck” that features ample seating areas, WIFI and a ping pong table. Since the property’s transformation, it has emerged as one of the most desirable buildings in the submarket for firms seeking a creative, modern workplace. Bob Safai, Matt Case, and Brad Schlaak with Madison Partners represented the parties in the transactions and procured financing for the buyer on both projects as well. Breevast US is a privately held full service real estate firm focusing on the acquisition, entitlement, development, leasing and management of office and retail assets located primarily in the western United States. The company's most recent notable activities have included the development of a LEED-certified office campus located in the South of Market (SOMA) area of San Francisco, which was leased to the internet cloud service provider, Dropbox, and the redevelopment of a 1 msf regional mall located in the Bay Area peninsula city of San Bruno, and ultimately leased to more than one hundred tenants.